A co-worker sent me this quote a few days ago. I read it quickly and went on with my busy day. But this morning, as I sat at the kitchen table reading the Sunday paper its message kept flooding back into my head. It reminded me that control doesn’t predetermine success or happiness. What determines success or happiness is the process and how we handle it. I have learned to pay particular attention to my responses in the first few minutes of a crisis. I consciously work at processing the issue and looking for the positive response, so I can deal with the crisis appropriately. If in those first few minutes I respond spontaneously and negatively, the “die is cast” and the end result will not be pretty! 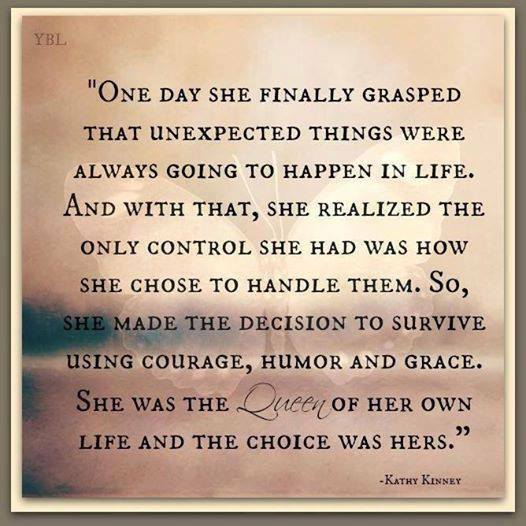 Kathy’s quote also reminded me that we are the mistresses of our own destiny. You have a choice every morning when you wake up and put your feet onto the floor, you can either be happy or sad. In that split second you have a choice and if you choose to give up, others will quickly fill the void. There is no grace, courage or humor in abdication. 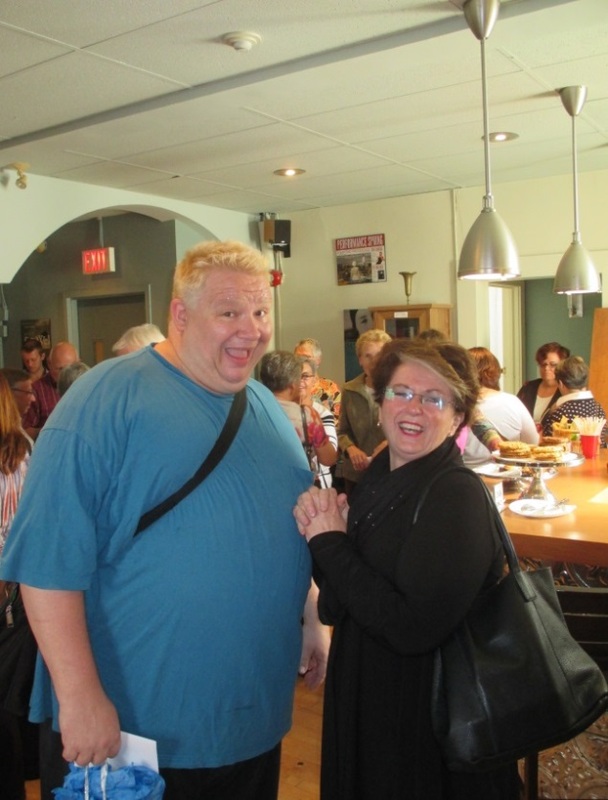 However the phrase courage humour and grace got me thinking about my friend, the effervescent Saskatchewan actor Sheldon Bergstrom who plays the lead in the Rob Ford: the musical. When the Mayor of Toronto was diagnosed with cancer days before the opening, Sheldon with great courage, humour and grace stepped forward to say his portrayal of the mayor was all about being respectful while still making the audience laugh because “there’s a little Rob Ford in us all”. After the show we went back stage to chat with Sheldon, (who lost his mom to cancer two months ago) and he was the first to wish the mayor a speedy recover. This is courage, humour and grace in action. Kathy Kinney you are one smart lady and Sheldon, you are the very best!